His name was Han Samethini. 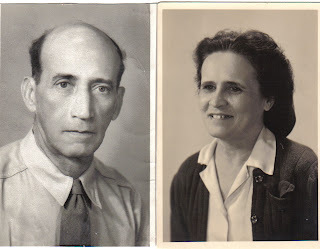 To me he was always Opa Henry, opa being the Dutch word for "grandpa" and Henry the Americanized form of the French Henri (the proper first name he almost never used). 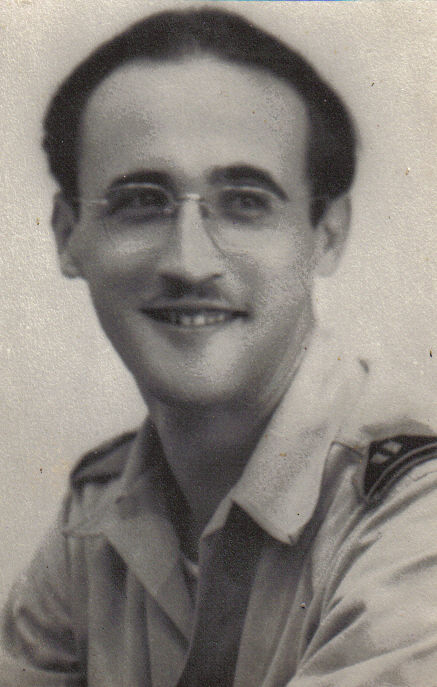 He was my maternal grandfather. 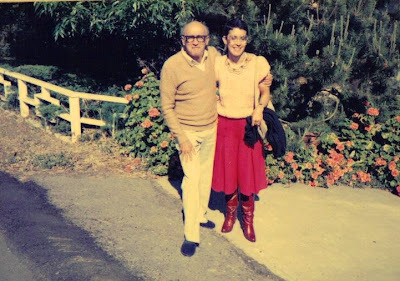 Mom wrote to him regularly and he wrote back in letters that looked curiously like hers, with a fluid, cursive script that was small and closely spaced. Hello, Robin! This is your Opa Henry. You can call me Opa, you can call me Grandpa. Just so long as you don't call me Baldy or something. 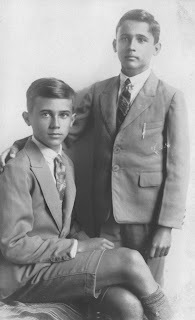 As a boy I almost envied my friends for having grandfathers they could see on weekends or holidays. 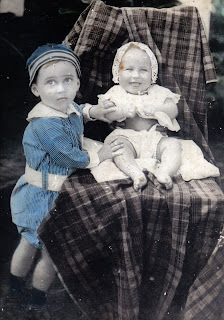 My sister Mylene and I grew up enjoying frequent visits to Oma (Grandma) Anna, Henry's ex-wife, who lived within easy driving distance of our home in California. But Opa was a remote, mysterious, and faintly exotic figure. We knew that he lived in South Africa, a fact which for me always conjured images of lions and giraffes. We heard also that he had been a musician and even a circus clown. 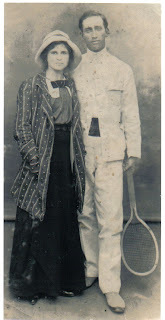 This compensated somewhat for his absence because he was at least a very interesting absentee grandfather. 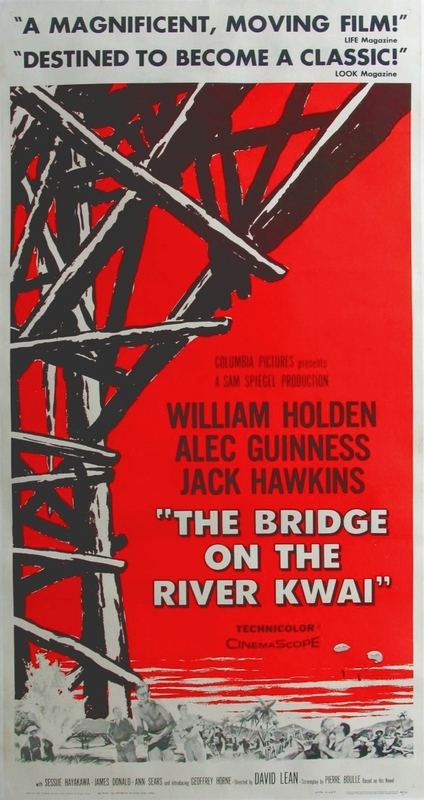 Most astonishing was the claim that he had helped to build the Bridge on the River Kwai, the famous World War II Japanese railroad bridge constructed in Thailand by Allied prisoners of war. 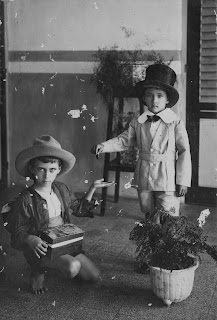 And not only did he serve as a forced laborer, he also entertained his fellow captives with the accordion. Mom emphasized the latter point with some pride as our family sat down to watch a television broadcast of the David Lean movie. I couldn't have been more than eight years old at the time and I found much of the dialogue boring or elusive. 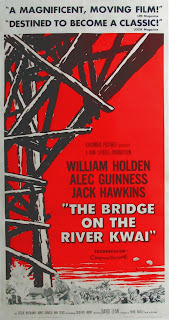 But when the story progressed to the celebration of the newly completed bridge, and the ragged prison camp orchestra played while POWs danced on the bamboo-and-thatch stage, I felt a sense of wonder: He was there. Opa Henry was actually there. Years later, in 1981, I said much the same thing as I gazed out over the shoreline and placid blue-green waters of the Makassar Strait: He was here. 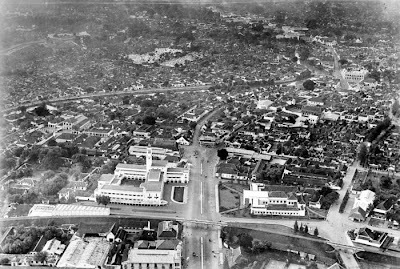 Here, 39 years before, in the town of Balikpapan on the island of Borneo. I envisioned the sea black with landing barges disgorging wave after wave of shrieking, fanatical Japanese infantry. Here I imagined my grandfather must have stood, part of a forlorn and outnumbered Dutch garrison with little hope of escape and none of victory. What were his thoughts as the enemy closed in? How did he survive to be taken prisoner? In his letters to me Opa Henry always brushed off such questions. But when he came to America in 1985 (his first and only visit), he recounted a few of his Burma Railway experiences. 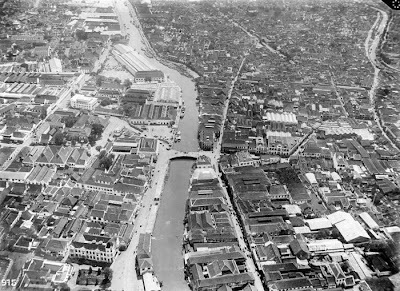 He had been to the bridge at Tamarkan, the "Kwai" bridge, but declared it was nearly finished when he saw it. He'd worked elsewhere on the Railway, under conditions and treatment that no film of the 1950s would have dared, or been permitted, to show. His recollections of beatings, hunger, and the insane, pointless cruelty of the Japanese guards were like terrible things swimming up from murky depths. He said to me, in words I will never forget, "You have no idea what you will do to survive, what you will eat, until you are in such a place as that." 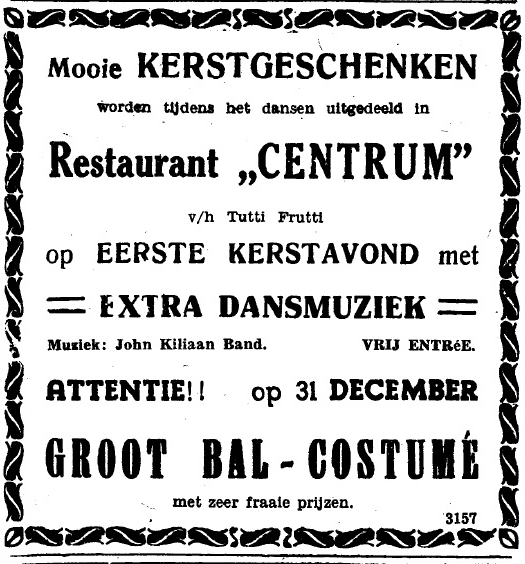 Yet, odd as this seems, he volunteered even less information concerning his prewar jazz career in the Dutch East Indies. Nor was he forthcoming about his postwar years on the stage and in the circus in Europe and South Africa. I'd expected him to be a raconteur, overflowing with stories that would confirm the Opa Henry of family lore: the brilliant improvisational musician, the wacky comedian, the irrepressible showman whose spirit could not be crushed even by starvation and slave labor. It puzzled me that such a public man, accustomed to playing in front of crowds, had so little to say about his performances, his art, and his profession. Not that he was dour. Quite the opposite! Samethini delighted in laughter, especially the laughter of others, dispensing jokes and humorous observations as if from an inexhaustible reservoir. But he was a humble, almost self-effacing man when talk turned to his accomplishments, or his misfortunes. It was admirable and frustrating at the same time that he kept the most fascinating elements of his personal history carefully hidden. 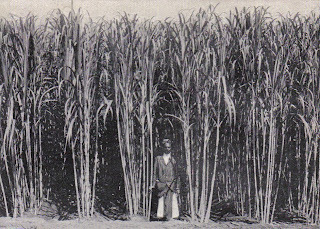 When my grandfather died in 1992 in faraway South Africa, it seemed that his story would never be told. I inherited his POW scrapbook, which contained intriguing photographs and documents, but alas, no explanatory notes to help me make sense of them. In 2001 I toyed with the idea of creating a simple web page based on the scrapbook, but gave it up because my interpretation would have been little more than conjecture mixed with expressions of family pride. All this changed in late 2006, when Mom handed me the bulk of her father's papers and photographs. 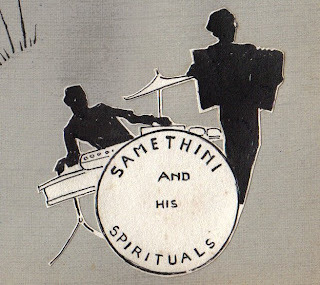 The new material included a meticulously arranged album of photos and press clippings chronicling Han Samethini's musical career from the mid 1930s to the beginning of 1947. Leafing through the album, I said in wonder and exultation to the young man smiling with his accordion from the black-and-white images, "Here you are. Opa, I've found you!" The rest has proceeded with unforeseen speed and success, thanks chiefly to the Internet. Without having to purchase an airline ticket or even leave my house, I've contacted sources all over the globe: distant kin, friends of the family who remember the events of the war, and scholars and researchers both professional and amateur. 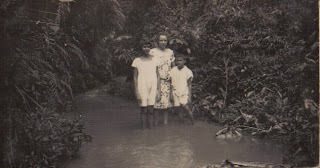 Beyond all initial expectations, I've corresponded with survivors of the Burma Railway. These men are revered in our family, along with all Allied veterans of the Second World War. Due to their generous assistance with this project we have added reason to be grateful to them. If I were asked to give a single reason for telling the story of Han Samethini, it would not be the desire to give him some measure of posthumous fame, nor would it be the expression of my longing to understand a relative who was almost a stranger to me (though both motivations play a part). The story should be told, I think, so that the work of my grandfather - the bringing of laughter and delight, especially to those who were troubled or despondent - might in some small way continue. It is a remarkable tale. I hope you will enjoy it. 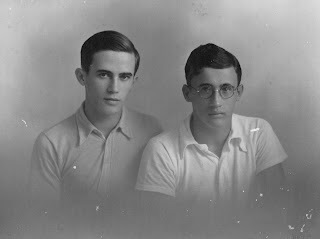 Update (July 20, 2011): Readers of this blog have generously sent me information, photos, and documents on Han Samethini and his colleagues. 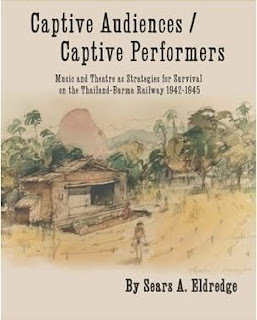 These include a stunning find: a scan of a 1944 show poster from Chungkai POW camp, Thailand, which was discovered in a junk shop in Australia. 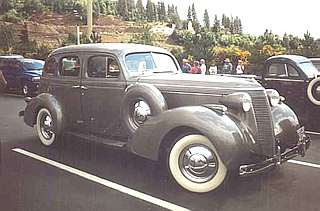 Correspondence can be viewed in the Reader Comments section. My thanks to everyone who has helped to expand and improve this modest biography. 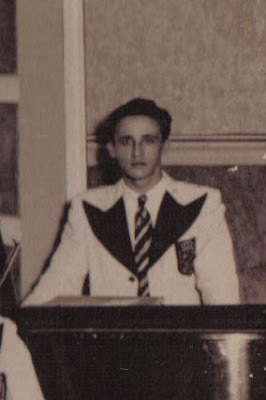 Class pianist "Hanny" Samethini sits front and center. The two instruments share a keyboard (or part of one) but the similarity ends there. 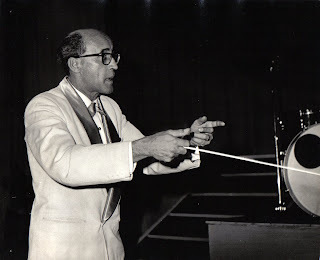 There are stylistic differences, differences brought about because of the relative advantages and disadvantages of the two instruments, differences in notation, differences in the way musical expression is achieved, differences in the position of the player with respect to the instrument, differences in the care and feeding of the instruments, and so on. Let's start with the bellows. Pianists vary dynamics (loud and soft) by varying the force behind their touch, and with pedals. 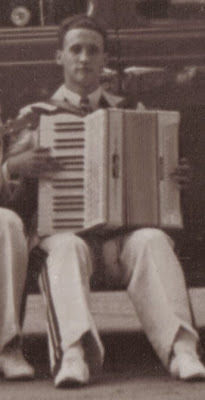 Accordionists vary dynamics by applying more or less "squeeze" or "pull" to the bellows. Accordion technicians tell me that they know when an accordion brought to them for repair is being played by a pianist! Pianists can sustain a note for just a short time, even with the sustain pedal depressed. Accordionists can sustain a note for as long as they can move the bellows. Related to that, of course, is the problem of phrasing. Think of the bellows of an accordion as related to the breathing organs of a singer. The singer must learn to breathe between musical phrases, and certainly not in the middle of a note; and the accordionist must learn not to reverse the direction of the bellows in the middle of a note or phrase, because for the fraction of a second that the bellows are not moving, the note or phrase will be interrupted. Second, let's consider the keyboard and bass buttons. The largest piano accordions have 45 notes in the treble (most have 41) as opposed to the possibility of having nearly all the 88 notes of piano for use in the treble, even if most selections don't call for that. But the bigger difference is in the approach that the accordion student must take to learning the instrument. 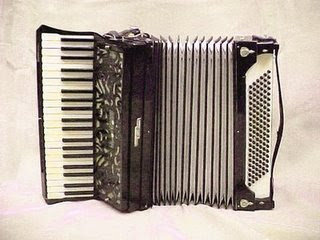 The treble keyboard (right hand) of a piano accordion is vertical and can only be seen by the player if the player bends their head down to look at it (not recommended). But the bass buttons of an accordion cannot be seen by the accordionist at all! There are various layouts of those buttons...but let's assume that the layouts are logical in a musical sense. There has to be some kind of tactile clue, and all accordions have either a depression carved into the C bass button, or a rhinestone, something that the accordionist can feel. Let's assume that the layout is the one called Stradella, the most common layout. This layout gives the accordionist both single bass notes and ready-made chords, but not the variety of chords that he'd get using his left hand on a piano keyboard. So, while the system is easy for a pianist to learn, it does have limitations and the pianist-turned-accordionist must find ways around those limitations. 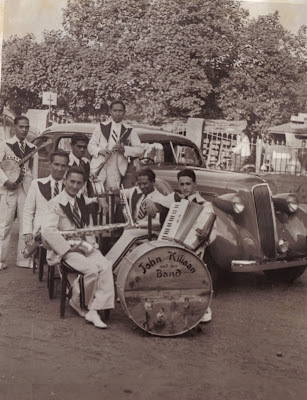 The John Kiliaan Band stands in the back row under the "CH" logo. Whether playing for dance parties, at the Centrum or on a car dealership lot, young Samethini honed his skills until he was ready to become a band leader in his own right. Henri Sr. by this time had conceded defeat in the contest of wills, it being evident that Han was going to make his own way in the world. Like most musicians, Han worked at a day job, being employed at K.K. Knies, a seller of musical instruments. We can only speculate on his duties there, but certainly his training and varied experience would have made him an ideal salesman, able to demonstrate his wares as well as talk up their virtues. 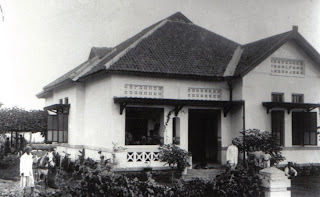 The Samethini home in Surabaya was at Brantasstraat 35, so named for the nearby Brantas River that flowed, like its conjoined twin, the Kali Mas, through the town and into the Madura Strait. 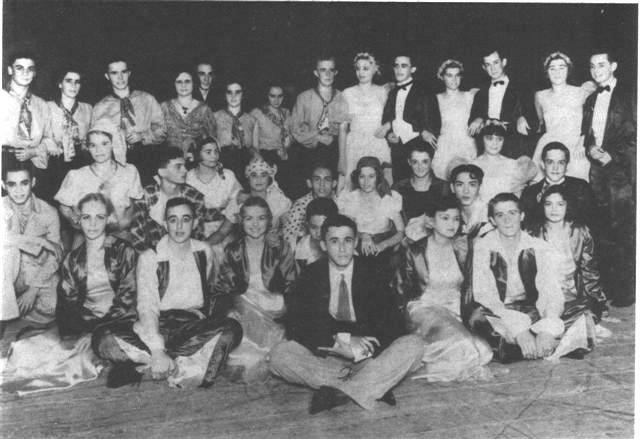 A portion of the house served as Emma's dance studio. 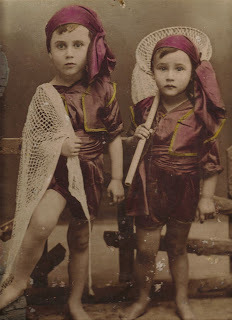 In 1936 or 1937 the family was riven by divorce. The bitterness of the separation can be guessed by Emma's destruction or mutilation of every photo of Henri Sr. in her possession. Han and Frank sided with their mother, largely shutting their father out of their lives. In the settlement Henri Sr. left the house to his ex-wife. 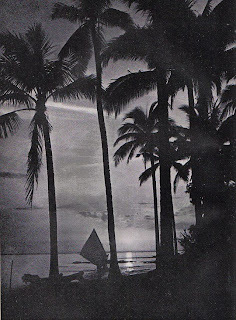 Han's work with John Kiliaan seems to have lasted from 1936 to 1938. He then started his own combo with a pianist, trumpeter, string bassist, and drummer. 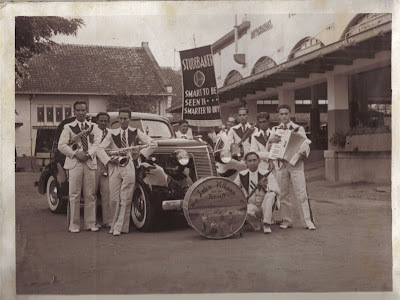 This band, Han Samethini & His Spirituals, became well known in Surabaya, performing at clubs, social functions, and possibly on radio broadcasts. 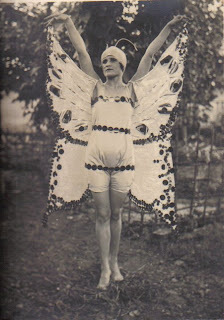 The long and tiring meetings of the 7th IEVVO [Women's Organization of the Indo European Association] had a pleasant interruption of several hours of relaxation and entertainment. The hosting department of Soerabaja organized a party at the Institute of Culture which was a great success. By 9:00 p.m. the intimate upstairs hall of the Toenjoengan Dance Academy was fully occupied by the IEVVO ladies and their guests. Soerabaja's mayor, Mr. Fuchter, was also present and the IEV [Indo European Association] was as usual represented by Mr. Buurman van Vreeden. Much of the evening's success was due to dance professor G. Sebok, whose students performed several excellent dance numbers which were previously shown in performance at the Kunstkring in October, so they won't be discussed here again. During intermission, and after the performance, the dance floor was in good use to the excellent dance music of The Spirituals, led by H. Samethini. 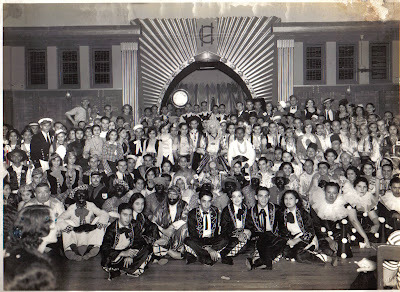 A special attraction was the free lesson in the Lambeth Walk given by Mr. Sebok, which had the entire ballroom filled with dancers executing these happy and merry steps. Next came a very well presented stage performance, each number of which was proof of excellent rehearsing. 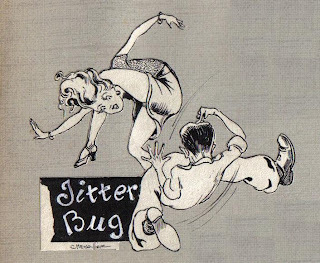 There was a Ribbon Dance choreographed by Miss Matimoe, a Tango Fantasy by Mr. Rellum, songs by the JWI Sisters and the Hill Billy Boys, an outstanding piano contribution by Mr. Samethini, and some entertaining one-act plays by Mr. Budding. Every number received a hearty round of applause, and several had to be repeated. The performance ended at 10:30 p.m. and all participants were honored on the stage by Mr. Scholten. The ladies received flowers and Piet v.d. Hof received a laurel wreath for his efforts. Once this was concluded the stage was transformed into a ballroom, and until the wee hours of the morning the smooth floor was well used to the excellent strains of the well known band, The Spirituals. On the occasion of HRH [Her Royal Highness] Princess Beatrix's first birthday, a ball was organized on January 31  and the Harmonie [Club]. The large ballroom was beautifully decorated for the event, with the color orange as the main motif - but it looked more like an intimate dancing room [i.e., a small public party room, like a cocktail bar with a dance floor] than a ballroom. The music was performed by the well known H. Samethini and His Spirituals from Soerabaja, and their contribution was one of the main reasons for the evening's success. At midnight the band played the Wilhelmus [Dutch national anthem] and everyone joined in the song. 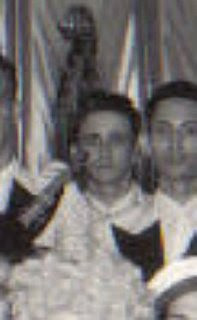 The Club's president, Mr. J.W. 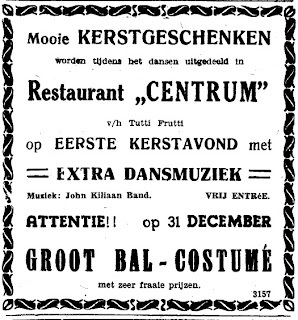 v. Rijn, then spoke, mentioning the fact that they were all gathered here to mark a joyous event. Even though the government had not deemed the birthday worthy of proclaiming a national holiday, the Club management thought it would be better not to let the occasion pass unnoticed, and therefore this celebration was organized. He wished everyone a great evening and concluded with three cheers for Princess Beatrix and the Royal Family. Day is done, darkness has fallen, the worst of the heat gone. Pastel-coloured lampshades shine gently through a filigree of potted plants and shrubs. In the warm, scented evening we read and talk out in front on the open porch. A thin spiral of grey smoke eddies up from a coil of mosquito repellent burning on a saucer on the floor. A wide-eyed brown kitten stalks, with great display of fuss, an imaginary prey between the magnolias. Back in the house the clock ding-dongs through soft radio music. The light circle of the porch lamp does not quite reach the dark hibiscus hedge at the front gate, where a lone cricket chirps incessantly. It is Saturday evening, after dinner time. All the news is read, all events of the day discussed, bemoaned or laughed about. A drive is then suggested and agreed upon. 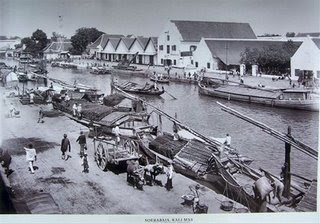 Soon we have joined the long line of motor cars out on the road for a little cruise to the entertainment district of Surabaya and on to the harbour for an hour of cool, refreshing sea breeze. The hood of the car is let down to make the most of the cool evening air. The motor sings, the wheels fly with a soft burr. Tall arc lights are caught in a dull shine moving along the the gleaming body of our car. Everyone is in the lighthearted mood of a Saturday evening, the whole night in front and all the free Sunday after that. When we enter Palm Lane we spot a burst of red neon of the left side. 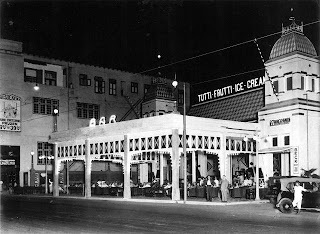 That's the "Tabarin" bar and dancing establishment, closed now, its opening time of ten o'clock catering to the after-theatre and supper folk. Opposite is the "Shanghai" restaurant, adorned with strings of pastel-coloured Chinese lamps on the open terrace. Munching and drinking people served by wooden-faced Indonesian waiters deftly balancing trays laden with delicacies. 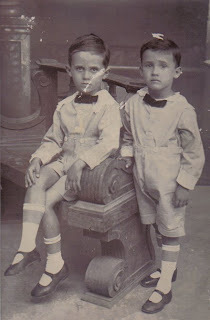 At the front of the restaurant a few native boys carry boxes with cigarettes loiter about. They will be there the whole night. On the corner of Palm Lane and Simpang Road, the Maxim Cinema blazes in floodlights, flanked by a file of Fiat Balilla taxis waiting for the end of the first session. The traffic signal switches to red, halting our car with a silent throb of its motor. We are facing the whitewashed facade and marble floors of the Simpang Club, select and suave, its members restricted to a better salaried class of people. Cozy little lampshades glow on small wicker tables on patios in front, where gentlemen with their lady companions are seated, sipping an aperitif or after-dinner coffee and liqueur. Blue cigar smoke and, now and then, a quiet sparkle of jewelry. Tyres crunch on the gravelled drive to the carpeted club entrance. The solid snap of an expensive automobile's door. New guests have arrived. The signal flashes to green. Our route goes by the park. In the distance strings of orange lights adorn the bandstand from which come muffled snatches of drums and clashing cymbals. 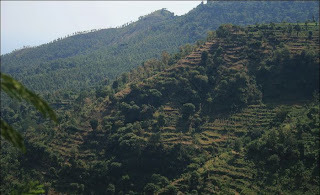 We drive through the Tunjungan now with its numerous bars, hotels and theatres. 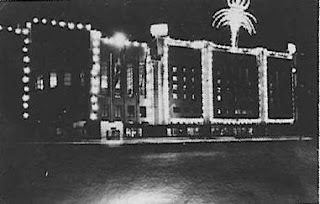 The brilliant shop windows of the newly opened Japanese department store Tjijoda, and the more soberly illuminated facade of Whiteway Laidlaw. High above in the night air, the jumble of multi-coloured neon advertising, motionless or in running flashes. Further down the road, Town Hall Gardens with trees full of red, white and blue lights. Something must be on again there is Town Hall Gardens, where the small-income man finds diversion in word, music and dance. Perhaps a jubilee or congress of sorts, doubtlessly celebrated with endless speeches and a boring play. Then, to top it off, a ball with the inevitable Hawaiian band with its guitars twanging sweet melodies of moonlight and dreams come true in Waikiki and Honolulu. Girls, some in rather garish coloured dress, will try to follow the astonishingly complicated dance maneuvers of their escorts in suits of every taste and shade. Entering downtown, the night seems here deeper and still, with myriads of tiny moths circling the globes of tall lamp posts on William's Quay and Red Bridge, strangely quiet and deserted at this hour. An oil wick flutters in the small cabin of a native barge on the dark river. Glowing pinpoints light up and darken again in the porticoes and doorways of the locked up business houses along the quay, where Madurese wharf labourers are smoking their favourite cheroots of clove-saturated maize leaf. Proud and independent, spending the night outdoors on a bed of jute bags, anywhere they may fancy, rather than having to return dutifully to the one and same address. Finally we reach the Heads and the car is brought to a halt. At the mouth of the Brantas the last ferry boat from Madura eases along her berth with a deep throb of her engines, her green and red lights shining through billows of swirling steam. High above, invisible in the darkness, a night bird cries for its mate. Far out in the Roads a yellow beacon winks slowly with measured intervals across a sea which lies there serene and peaceful. 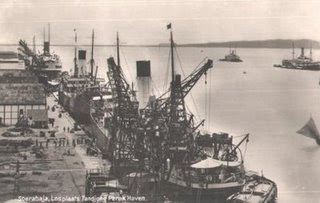 The Western Fairway, between two citadels armed to the teeth, Fort Menari and Fort Piring, their big guns rendering suicidal any attempt to enter the harbour by an aggressor, whoever it may be. Another car pulls up near where we are. For a while we hear the intonation of its passengers filter through the mild sea breeze. They laugh a little, then fall silent. So pleasingly quiet it is here. These idyllic nocturnal scenes give no hint of the greater darkness about to engulf the Netherlands and her East Indies colony. 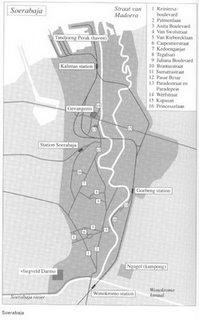 On September 1, 1939 Nazi Germany invaded Poland. Britain and France declared war on Germany two days later. Holland, neutral but wary, mobilized her forces and prepared for the worst. In the Far East, amidst the cold waters of the North Pacific, brooded the colossus that was Imperial Japan. 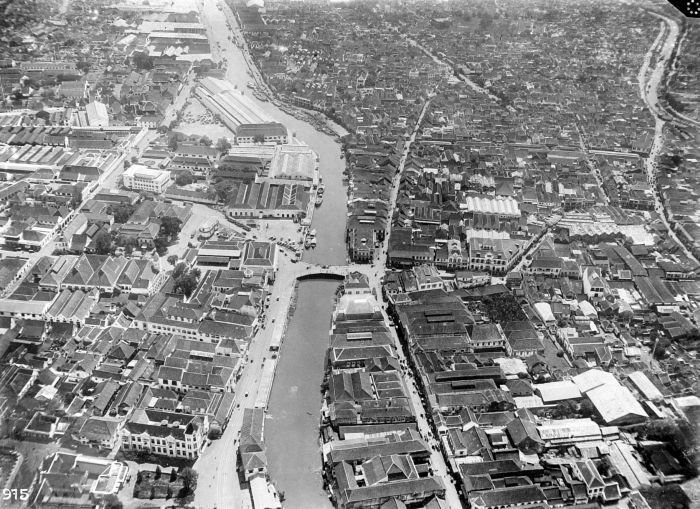 The Japanese had absorbed Manchuria, and now their armies were overrunning eastern China. Han may have regarded these developments with foreboding as the 1930s drew to a close, but he was not a worrier by nature. Moreover, he was about to acquire an interest deeper and dearer to him than any music. 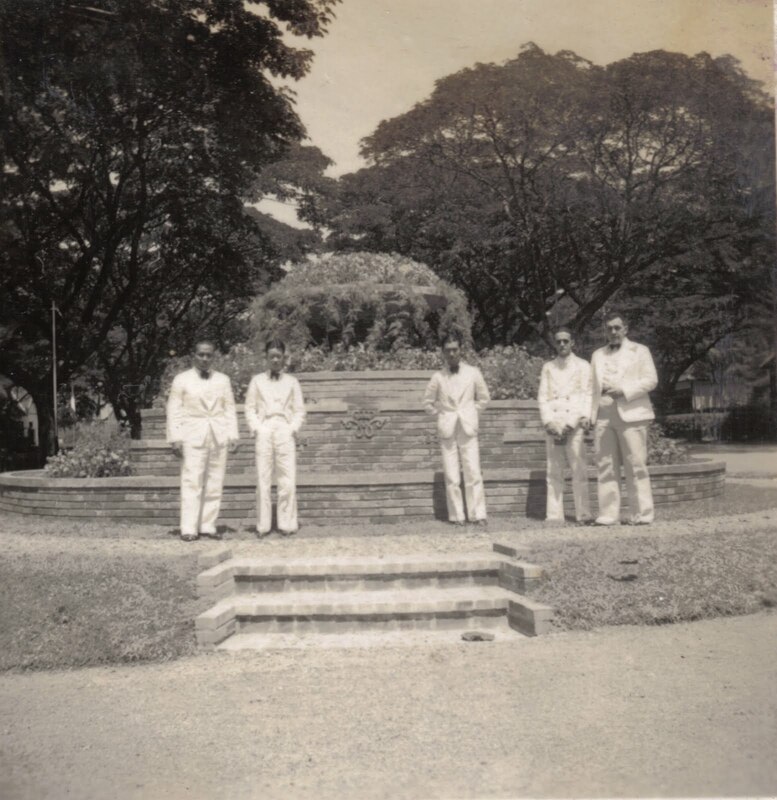 The Spirituals posing for a photo in a park. 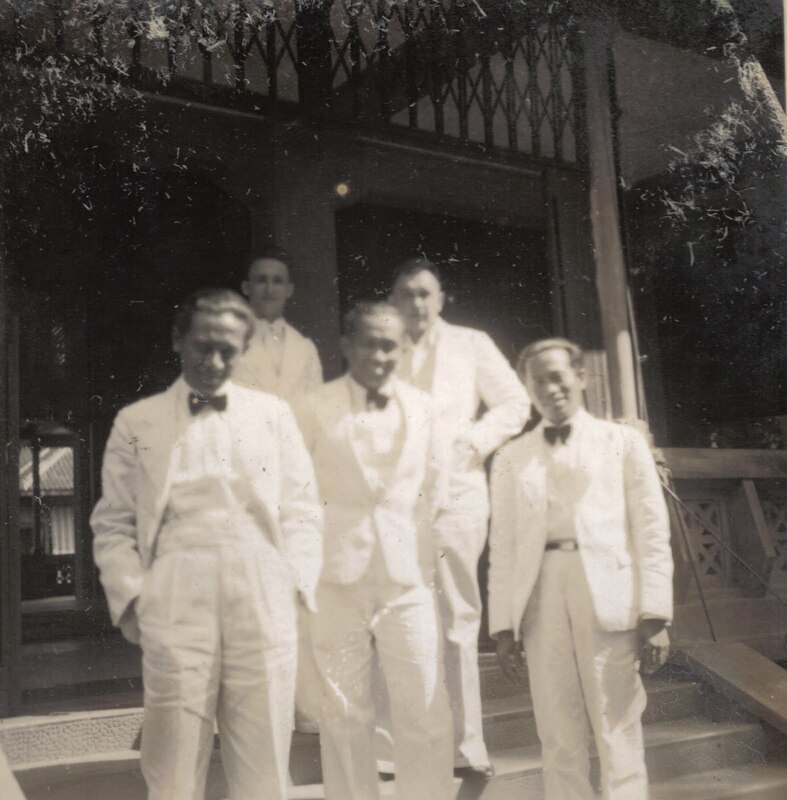 Han stands second from right. 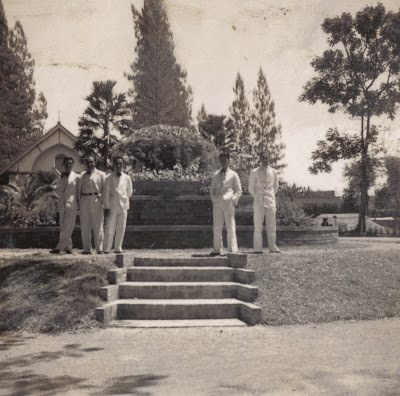 Judging from Queen Wilhelmina's royal monogram on the brickwork, this was taken during the 40th Royal Jubilee celebrations in Surabaya (September 1938). Photo taken on opposite side of the monument. Han at far right. 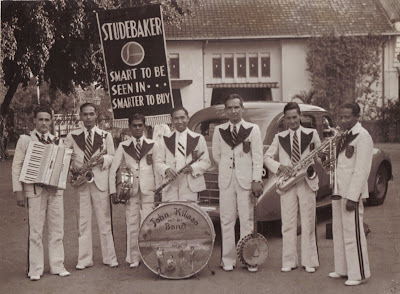 Two of the band members have switched places, one to join the group and one to take the photo. On the steps of a park building, possibly a music pavillion. Han stands in the back row, to the left. 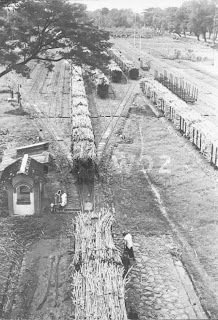 Between 1929 and 1935 the number of sugar factories on Java had fallen from 179 to 45, and the land area planted to cane shrank from 200,831 hectares to 27,578. Figures cited in The Cambridge History of Southeast Asia, Vol. 2, Part One, pp. 183-184. 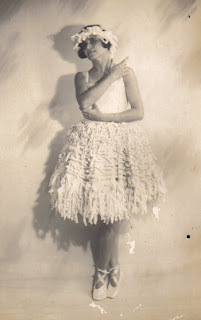 Comment by Margie Samethini-Bellamy, herself a ballet teacher and choreographer (personal e-mail). 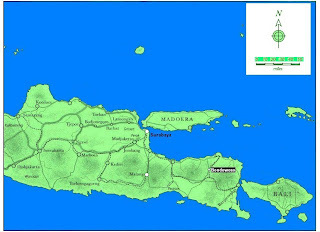 Details and location of the Centrum provided by Alfred Ticoalu, based on his study of contemporary sources on the Surabaya jazz scene. The Tunjungan is a street running through the city's entertainment district, lined with shops, clubs, hotels, and restaurants. 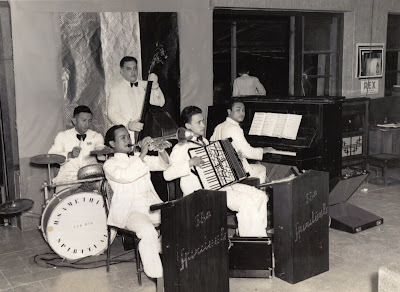 Mr. Ticoalu is presently writing a two-volume history of jazz in Indonesia. He requests that anyone with information on this subject please contact him through this blog or via his Facebook page. Comments posted by Alan Sharkis in the online discussion forum Piano Accordion Players of the World, November 29, 2008. 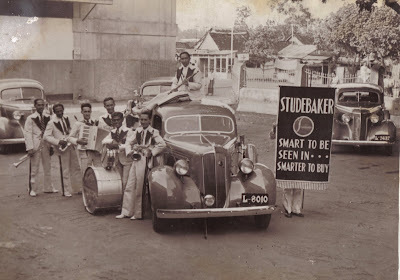 Makes and models in these photographs identified by Andrew Beckman of the Studebaker National Museum in South Bend, Indiana. 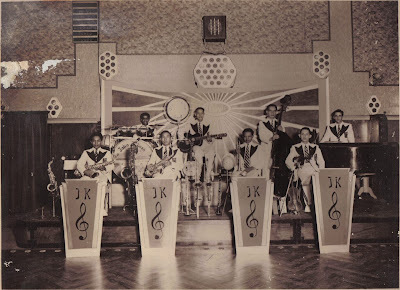 The second photo, in which the seven musicians stand "line abreast", shows the Kiliaan Band jacket logo to best advantage. 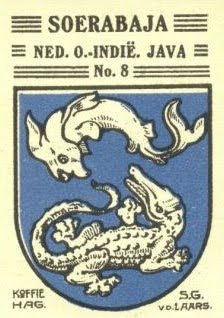 It appears to be a variation of the wapen (coat of arms) of the City of Surabaya: a shark and crocodile surmounted by the crown of the Netherlands. Uittreksel (summary) of Han Samethini's military service record, drawn up by the Dutch Ministry of the Interior, Pensions Administration Department, on November 7, 1980. Copy of this document kindly furnished by Mr. L.H.G. 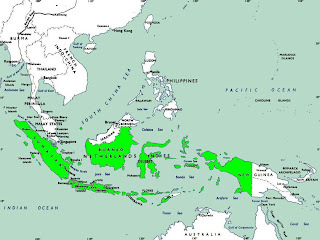 Belleflamme of Stichting Administratie Indonesische Pensioenen (SAIP). 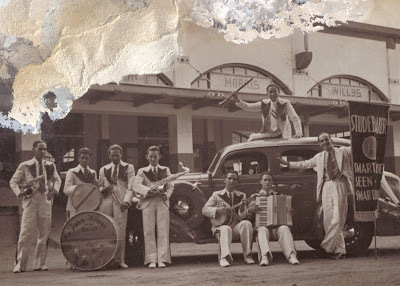 Many communities in the East Indies had a Harmonie Club (Societeit de Harmonie). These were prestigious gathering places for the upper crust of society. The location of this particular club is unknown, but it was probably a town in East Java. Christine Chapman, "Thoughts and Recollections of Elisabeth (Lisa) Samethini". Frank Samethini, The Sky Looked Down, Chapter 2: Surabaya.